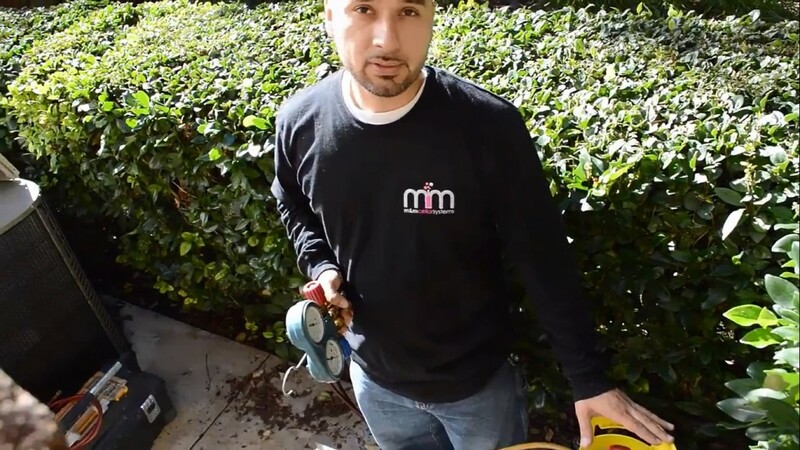 An owner of a residential wine cellar in Irvine, Orange County called M&M Cellar Systems to repair a leaking cooling system. A team of HVAC professionals were sent to assess the problem, and they found that Freon was leaking from the cooling equipment. The wine cellar refrigeration unit was repaired promptly by sealing the leak and replacing the refrigerant. Working with a wine cellar refrigeration expert like M&M Cellars has specific advantages, as this job demonstrates. 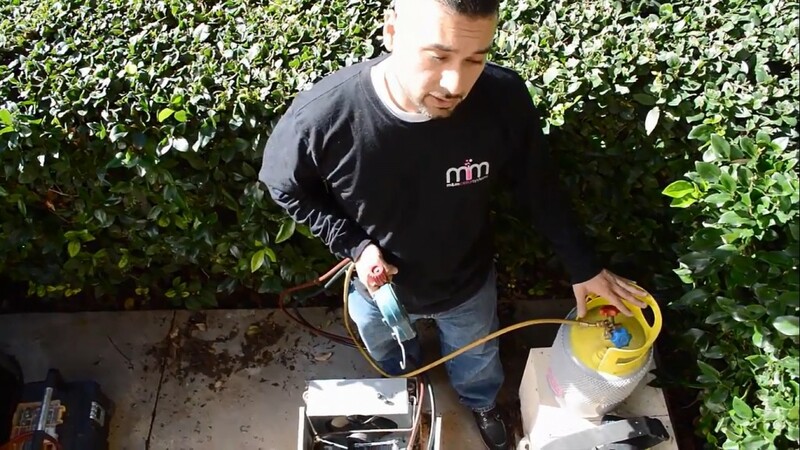 M&M Cellar Systems recently received a service call from a homeowner in Irvine, California who complained about a leak in their wine cellar cooling unit. Although the refrigeration system was still functioning properly, it was not going to continue to do so if the problem wasn’t addressed promptly. 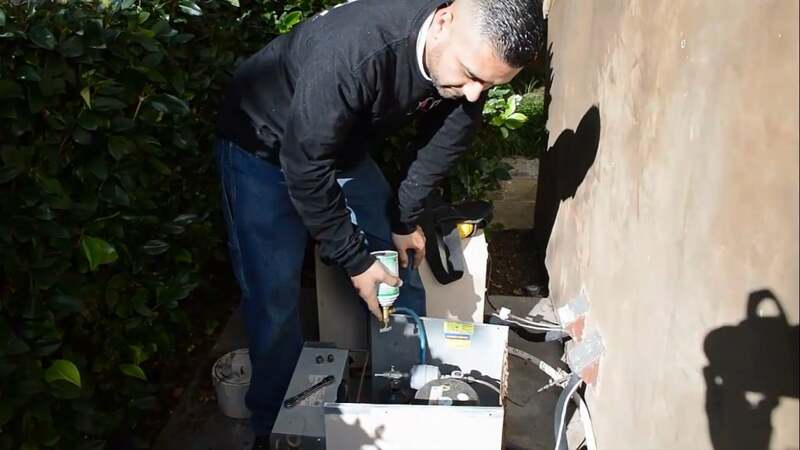 Wine Cellar Cooling Expert Repairs a Refrigerant Equipment in Irvine, Orange County, California. Find M&M Cellar Systems on Google Plus by Clicking here! An HVAC team of experts were sent to inspect the condition of the cooling equipment. They injected a UV detectable dye into the system in order to identify the exact location of the leak. After a month of allowing the dye to course through the refrigeration system, the experts came back to check the location of the Freon leak. The team discovered that the leak was inside the cooling system, and so they had to take down the unit and disassemble it to gain access to the problem. The HVAC professionals then used a stop leak to seal the leak. M&M Cellar Systems is an expert in installing, maintenance, and troubleshooting of cooling systems for wine cellars. Find them on Yelp! Click here! In most cases, the refrigerant does not need to be replaced with a new one. In this Irvine cooling unit repair project, the Freon was drained out and recycled. This is a cost-efficient way to repair the equipment. The team from M&M Cellar Systems removed the cooling system’s refrigerant first before sealing the leak. They made sure that the Freon was kept clean and away from contaminants, so that they could reuse it again. A whole can of stop leak was then added to seal the leak. Afterwards, when the leak was completely sealed, the recovered refrigerant was placed back into the system. Throughout the process, the HVAC experts made sure that there was no refrigerant wasted or discarded. Freon is harmful to the atmosphere because it can damage the earth’s ozone layer. It is important to minimize the amount of refrigerant released to the air in order to protect the environment. Once the repair was completed, the team had to wait for a month to reevaluate the effectiveness of the stop leak. The client was satisfied with the service provided. M&M Cellar Systems HVAC technician replaces Freon in this Irvine cellar cooling equipment. Like us on Facebook! Click here! Most problems with refrigeration systems that wine cellar owners complain about are those that can be avoided if you hire the right company from the beginning. An HVAC professional should be hired for the installation of your wine cooling equipment, as well as its maintenance and repair. It is common for people to commit the mistake of hiring an air conditioning technician instead of a wine cellar climate control expert. Although there are times that an air conditioning person may install a wine cellar cooling unit correctly, they generally are not capable of providing maintenance and troubleshooting services. This is because they are not familiar with the components of wine cellar cooling equipment, and they do not have the appropriate training on how to handle these types of refrigeration systems. Remember, wine cellar climate control is more than just cooling. It’s about keeping it at a stable temperature, which may require cooling and heating, and humidity control. It’s far more complex system than a typical cooling unit technician can provide. In situations where an air conditioning repair man tries to troubleshoot a wine cellar cooling unit, more problems usually arise. Clients then end up spending more than they should because of the damages incurred. Avoid these unnecessary problems with your refrigeration system by trusting only a wine cellar specializing HVAC professional. Looking for the right person to help you with your wine cellar refrigeration equipment? M&M Cellar Systems is just what you need! We are a company that only repairs and installs wine cellar cooling systems. Because of our knowledge we help clients determine the appropriate cooling unit for their wine storage room. All our HVAC personnel are trained experts, and they are all well-experienced in handling all types of wine cellar refrigeration equipment. For more information about our products and services, send us an email today at Expertservice@winecellarcoolinglosangeles.com! You can also call us at +1 (323) 578-3330!